Tungsten plate (tungsten sheet) possesses the properties of high density, balanced internal structure and excellent high creep strength, high temperature resistance, high chemical purity, tight and uniform tolerances, and consistent high quality. Tungsten plate is widely used as reflection shield, applied in the sapphire growth furnace. 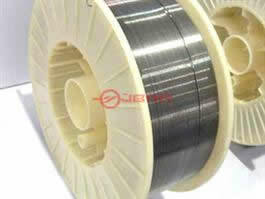 It can be also used as heating tape, connecting pieces, tungsten boats, crucibles, tungsten electrodes, sintering trays, stacking sheets applied in vacuum furnace. Tungsten sheet is used as sputtering target applied in the technology of coating manufacturing and chemical vapor deposition (CVD) and physical vapor deposition (PVD) of thin film. It is also used as parts in the ion implantation industry. Tungsten plate has the highest melting point and boiling point among all the metal plates. It is of high density above 19.0 g/cm3. Tungsten sheet features high structure stability and high temperature resistance. Special sizes can be manufactured based on customers’ requirements. Tungsten plate is packed in plywood case and sent by ocean or air. Established in 2008, Zhuzhou Jiabang Refractory Metal Co., Ltd. is a professional manufacturer and supplier of tungsten products in China, like tungsten plate (tungsten sheet). Our products are mainly exported to United States, South Korea, Russia, Japan, Germany, France, Brazil, Ukraine, Italy and other international markets. For more information, please enter our website and contact us immediately.